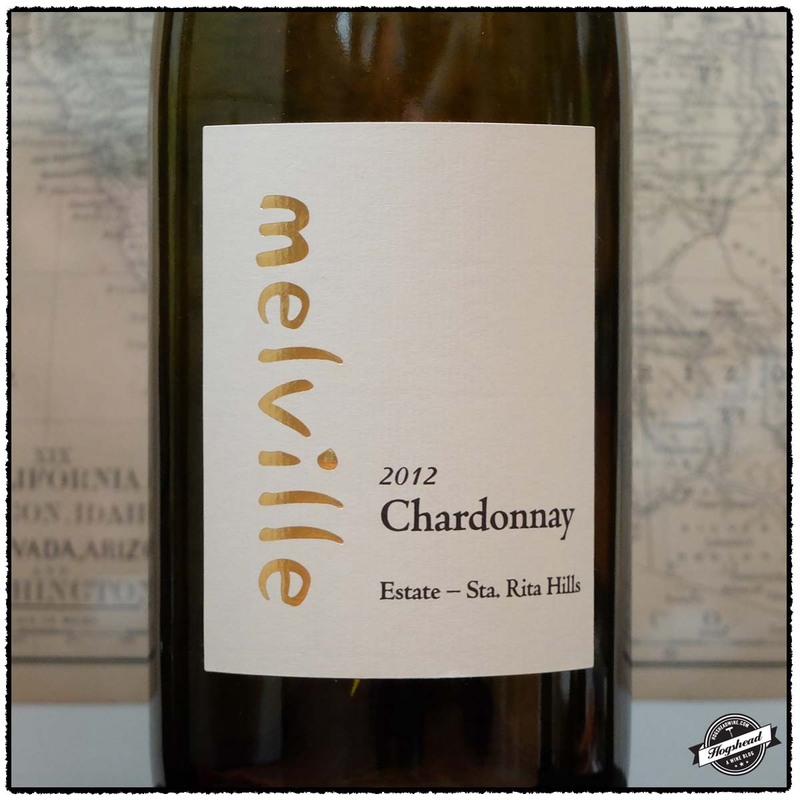 I drink Chardonnay from California and while I have bought bottles of Kendall-Jackson, Vintners Reserve from a famous DC merchant, other wines in the $20-$30 range can offer an engaging experience. 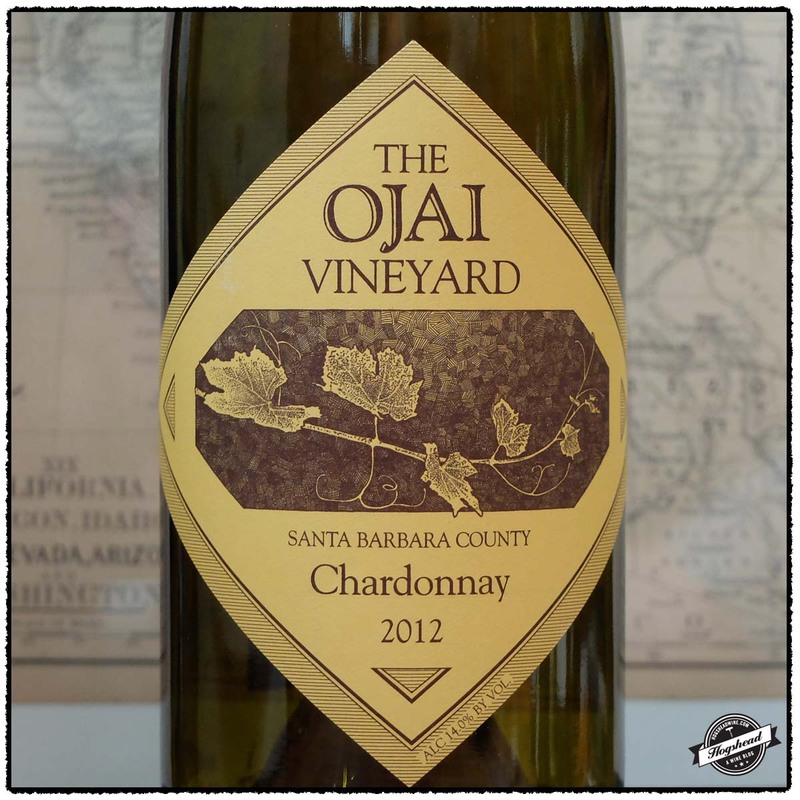 Recently both Jenn and I have been enjoying bottle after bottle of 2012 The Ojai Vineyard, Chardonnay, Santa Barbara County. 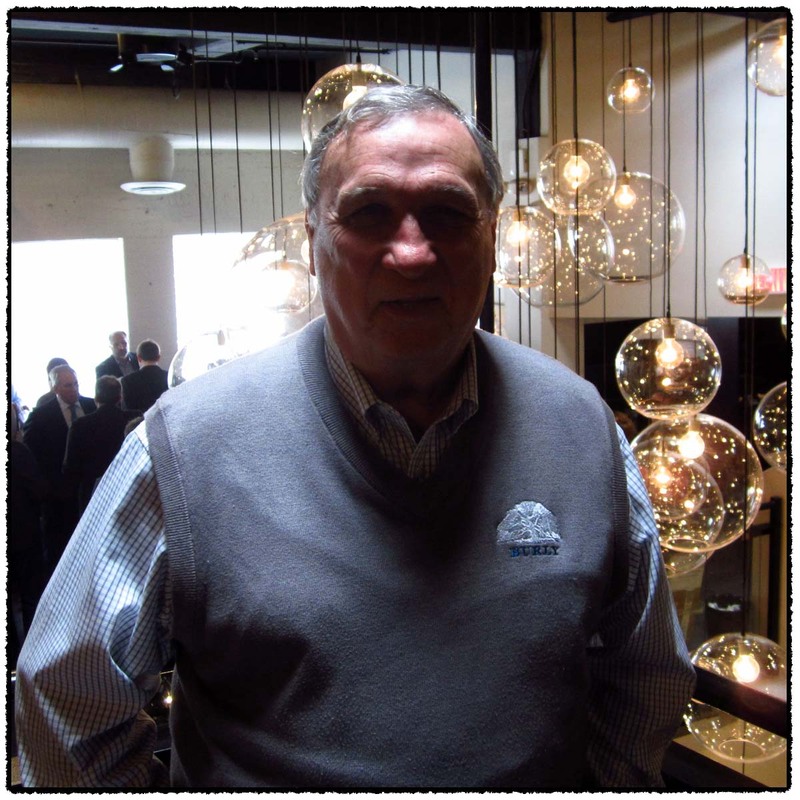 If the name Ojai sounds familiar that could be due to all the press it received as a result of the Wine Writers Symposium, check out Robert Parker Responds to Jon Bonne. I think this wine will hit its peak towards the end of the year but right now offers up a nice blend of fruit, acidity, oak influence, and presence. 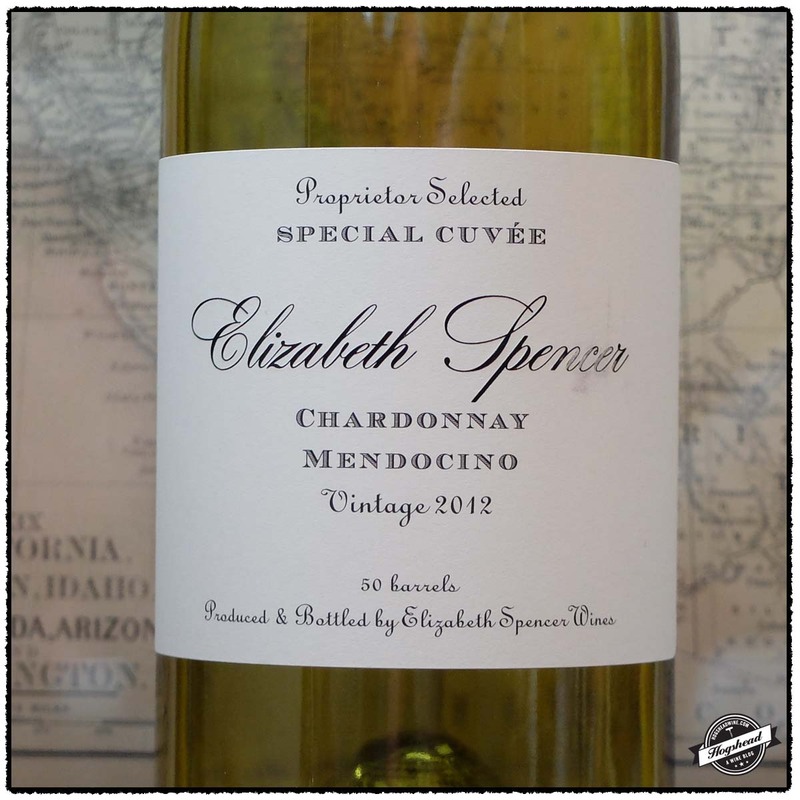 The 2012 Elizabeth Spencer, Special Cuvee, Chardonnay, Mendocino had lots of verve and remained lively for days. It was a young wine that could use half a year in the cellar but I was attracted to the acidity and tannin combination. I enjoy tannins in a white wine. 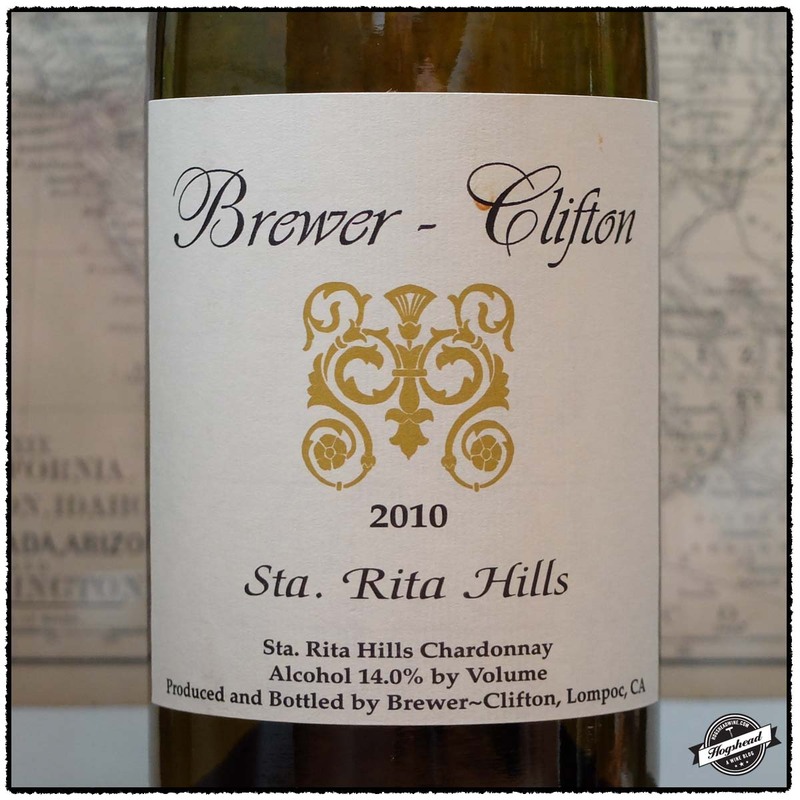 The 2010 Brewer-Clifton, Chardonnay, Santa Rita Hills may at first seem austere but reveals itself to be a careful combination of the savory, tang, acidity, and smoke. More reflective than quenching but I enjoyed it. 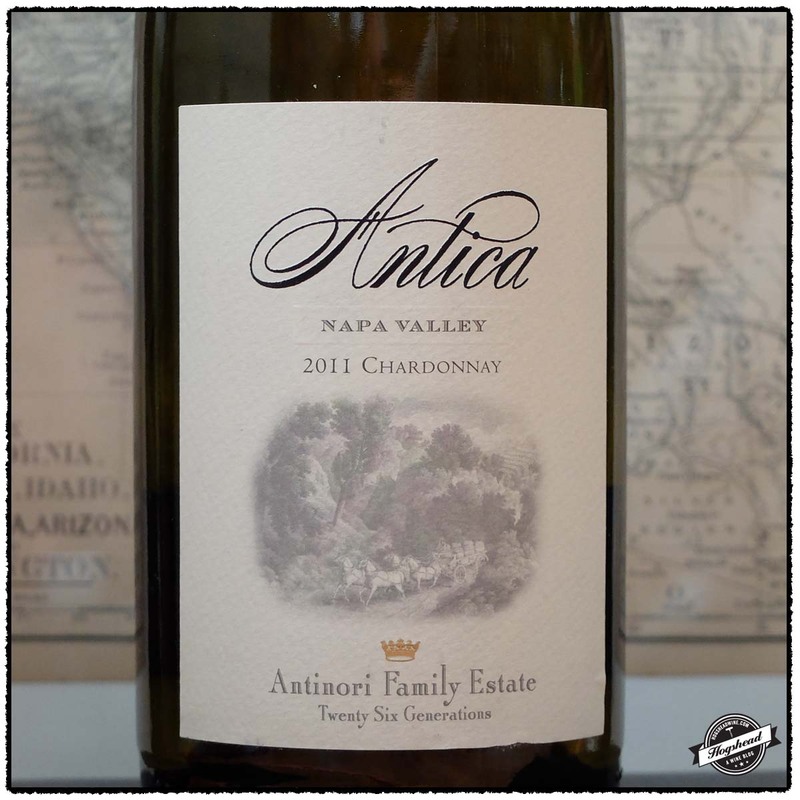 Both Jenn and I liked the 2011 Antica, Chardonnay, Napa Valley on the first night when it had yellow fruit, salivating acidity, and stones but then it kind of fell apart the next night. Be sure to drink it in one sitting. 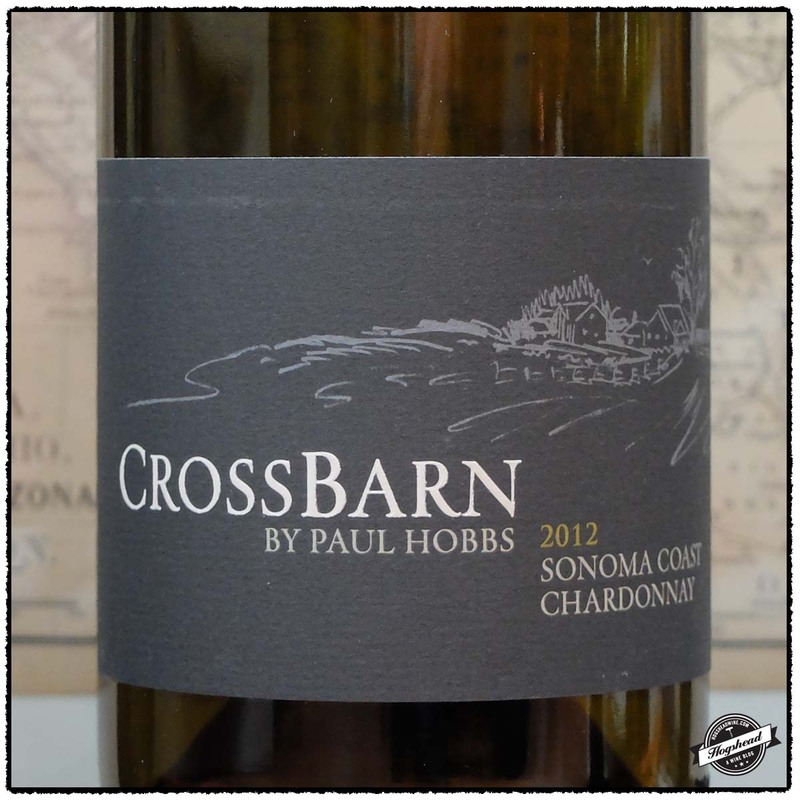 The 2012 Crossbarn by Paul Hobbs, Chardonnay, Sonoma Coast had yellow tropical fruit, lively acidity, spices, and perhaps a little too much intention for my preference. I believe there is good diversity in the wines below so try one that sounds most attractive to you. These wines were purchased at MacArthur Beverages. Alcohol 14%. The color was a medium golden-straw with a nose of Chardonnay and some toast. In the mouth there was controlled ripeness complemented by nice spices and texture. With air it took on yellow, juicy fruit, and a vein of baking spices. There was acidity on the tongue tip and increasing texture that left a persistent aftertaste. *** Now-2017. Alcohol 14.1%. The color was a very light straw. The nose remained subtle with tropical notes and sweet nuts (yup). The finely textured fruit in the mouth had a core of acidity and pleasing tannins which were ripe and built on the cheeks. It was somewhat compact to start with but over several days built some roundness to the firm white fruit. Had lots of verve. *** Now-2018. Alcohol 14.0%. There was a little smoke to the yellow fruit aromas. In the mouth the wine had some savory weight, acidity, and grip from the start. It had tang and freshness combined with weight and an expansive aftertaste. There was a chalky finish before the acidity hit the back of the throat and the smoke return in the aftertaste. Deliberate. *** Now – 2015. This wine is 100% Chardonnay which was fermented in 30% new French oak then aged for six months on the lees. Alcohol 13.8%. The color was a light golden yellow. The nose was fresh with yellow fruit and underlying toast. In the mouth the fresh acidity balanced the white and yellow fruit. The wine showed some density with salivating acidity and some stone notes. It was best on the first night. *** Now. This wine is 100% Chardonnay which was fermented in stainless steel, underwent malolactic fermentation, then 12-15% saw oak. Alcohol 14.1%. The nose bore yellow, tropical aromas that mixed with some toast. In the mouth was a slightly textured start with a crisp start of yellow fruit that was felt on the tongue tip. It was round in the mouth, lively on the tongue, with ripe spices in the finish. It ended more lush with a tropical hint to the flavors. ** Now-2015. Alcohol 14.5%. This was the most forward with rounder, softer flavors and toast notes. Not my style. * Now. Between the end of summer vacation and the start of the school year, Lou and I managed to squeeze in a quick gathering to taste some wine. We both opened several recent purchases from Weygandt Wines, Premier Cru, and Chambers Street Wines. I was thoroughly pleased with what we tasted. 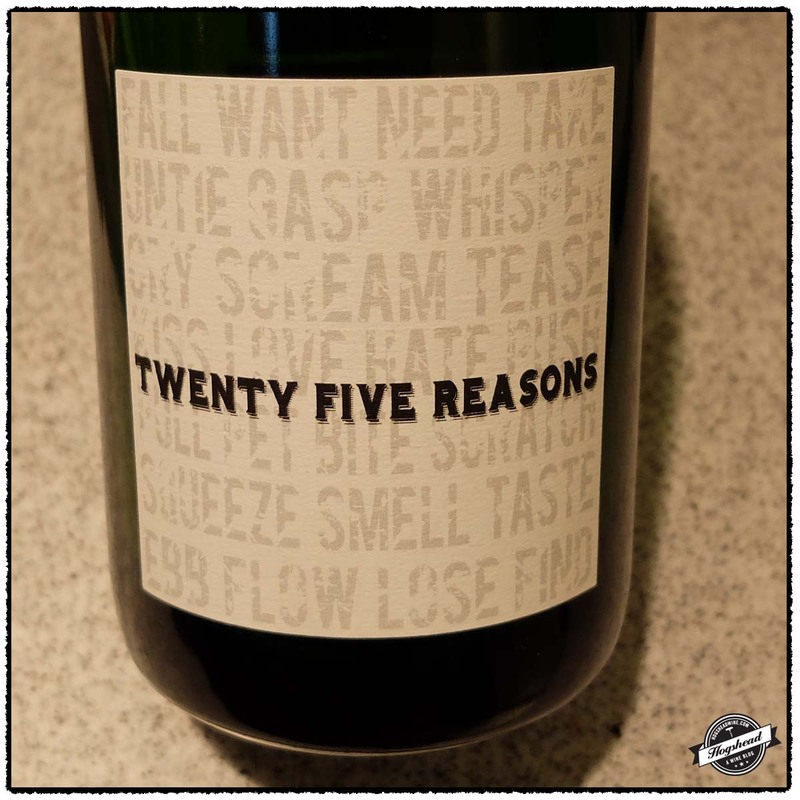 The NV Salinia Wine Company, Twenty Five Reasons bore the expected skin contact notes but otherwise was completely surprising in profile. I preferred it after half an hour of air from the top of the bottle, before it took on a strong citrus profile. If you want a different wine that is drinkable, complex, and affordable then pick up a bottle. The 2011 Domaine Gauby, Les Calcinaires Blanc slowly opened up with air to become an engaging wine. I thought it drank best the first night yet it also seems young, so try a bottle next year. 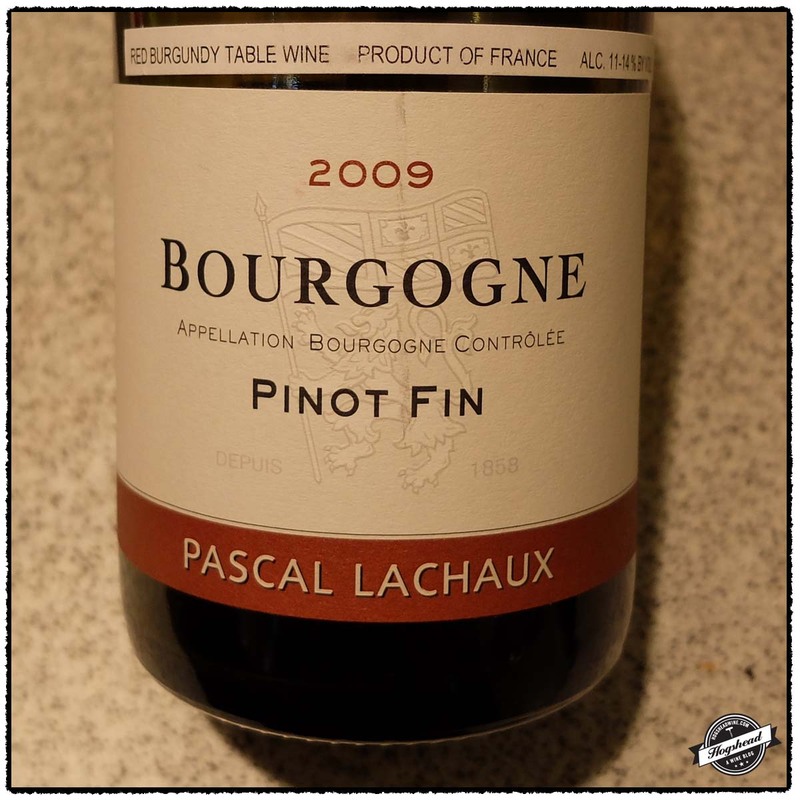 Lou had opened up the 2009 Pascal Lahcuax, Pinot Fin the night before so my first glass was fully open. Pascal Lachaux is the son-in-law of Robert Arnoux. The quality of his fruit and wine making was clearly evident in this bottle. Very enjoyable and one I recommend you try. 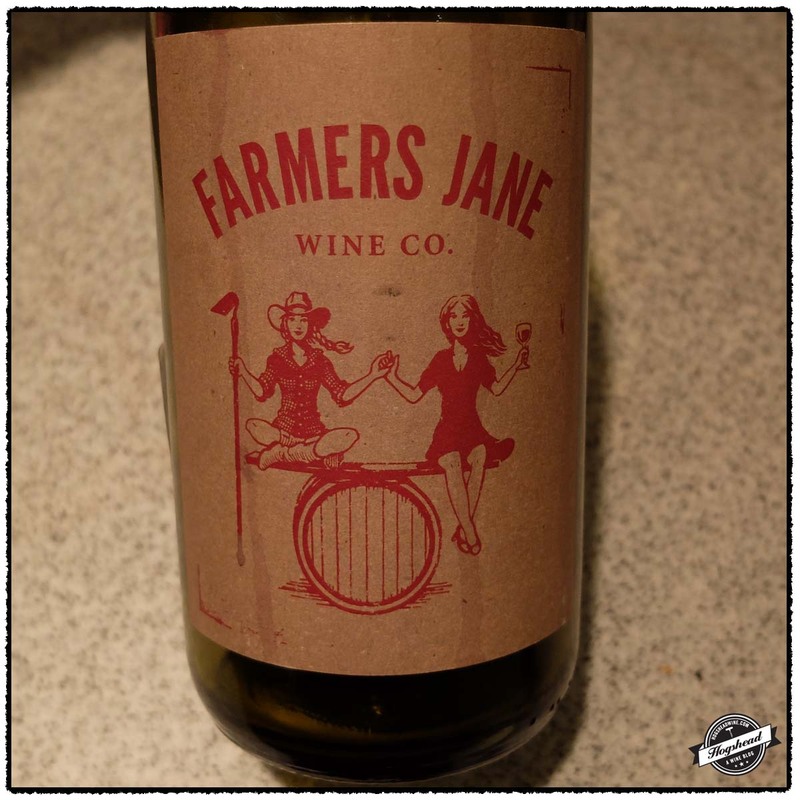 The 2010 Farmers Jane Wine Co., Field Red took some air before the balance of complexity and freshness made it one of my favorite wines of the evening. 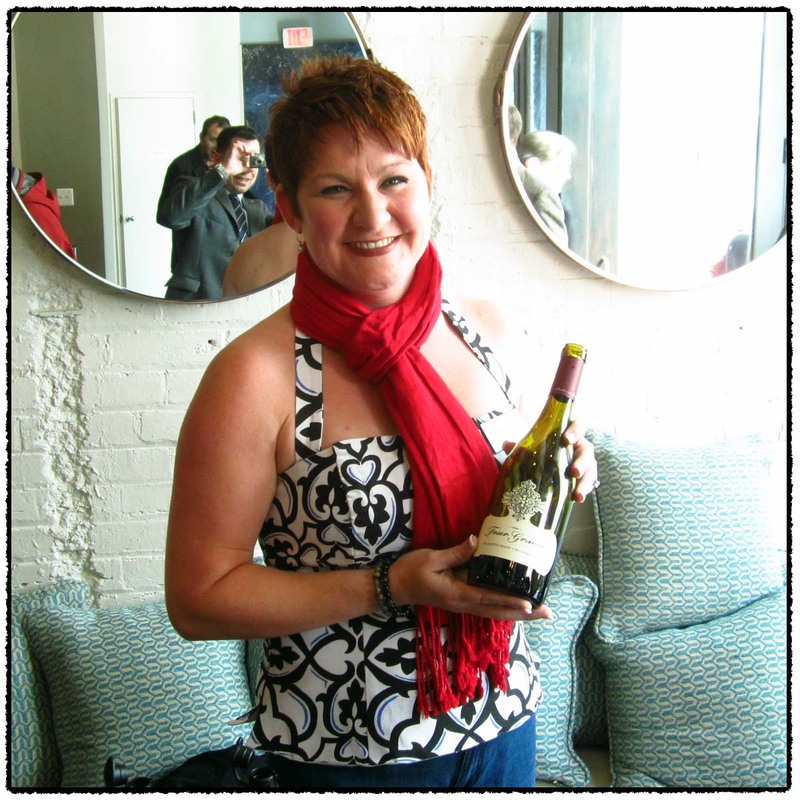 This wine is the joint venture of Angela Osbone of A Tribute to Grace Wine Company and Faith Armstrong of Onward Wines. I recommend you try a bottle or two. 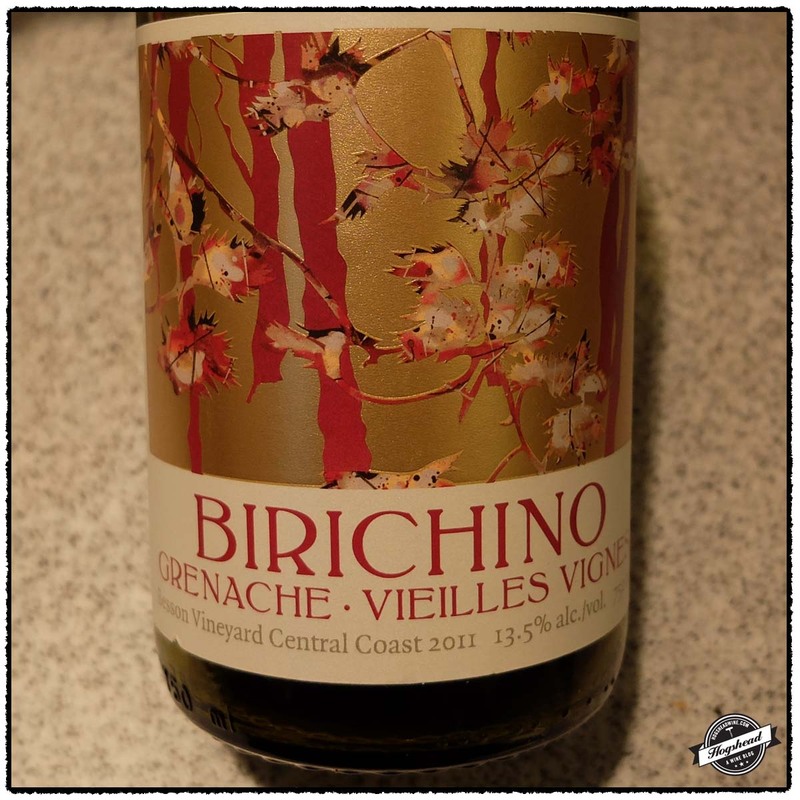 The 2011 Birichino Amici, Grenache Vieilles Vignes remained drier, tighter, and firmer over two nights. It might just need some time so try it again at the new year. This wine is 100% Sauvignon Blanc sourced from 42-43 year old parcel of organic vines in Redwood Valley. They were was skin fermented with indigenous yeasts. It is a blend of 10% 2012 vintage, 85% 2011 vintage, and 5% from reserve barrels of 2010 and 2009 vintages. Alcohol 12%. The wine is cloudy. The nose begins with complex, ripe, floral, skin contact aromas. On the second day it bore stronger grapefruit aromas. 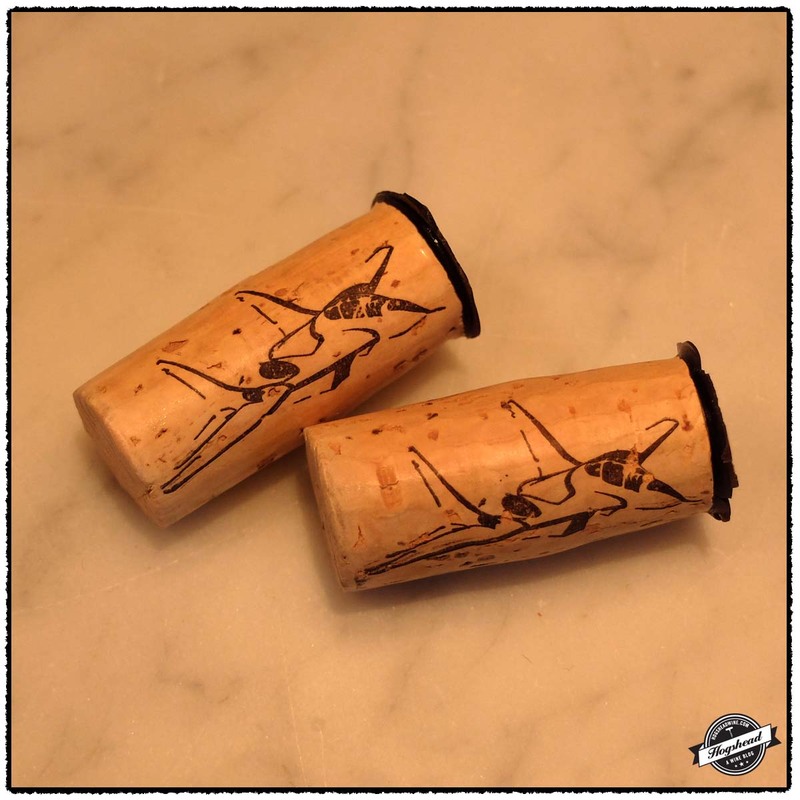 In the mouth the wine is bubbly at first then quickly becomes petillant as it warms up and breaths. It almost becomes a still wine. It was quite good after half an hour with lemon and citrus flavors then with warmth complex orange peel and wet baking spices. It becomes tart with air and towards the bottom of the bottle. *** Now. Imported by Weygandt-Metzler. This wine is a blend of 50% Muscat, 30% Chardonnay, and 20% Macabeu sourced from 15-50 year old vines. It was fermented with indigenous yeasts then aged on the fine lees for eight months. Alcohol 12%. The nose bore floral, white tropical undertones, stones, and with warmth, melon and bitters. In the mouth there was a little yellow and white fruit mixed with acidity. Then the wine fleshes out a little with a tropical bit coming out. It has some weight, orange peel, and a spine of flavors. **(*) 2014-2017. Imported by Premier Cru. This wine is 100% Pinot Noir from 60+ year old vines on old Pinot Fin rootstock sourced from blocks in several villages, Chambolle-Musigny, Vosne-Romanee, and Nuit-Saint-Georges. The wine undergoes malolactic fermentation and aging in French oak barrels. Alcohol 12.5%. The nose was very finely textured with herbs, cardamom like spices, with a hint of fruit underneath. The flavors were similar in the mouth but with more red fruit. The wine was gentle but firm with focused ripeness, black cherry, and a modest structure in the finish. A nice wine. *** Now-2019. This wine is a blend of 93% Grenache from 60-80 year old vines sourced from the Watch Hill Vineyard and 7% Carignan from 60-80 year old vines from the Hawkeye Ranch which were aged in neutral oak. Alcohol 14.3%. The nose was fresh, almost crisp, with baking spices. In the mouth were ripe strawberry and red fruit flavors that mixed complexity with freshness. It was a light wine with a little weight and moderate, salivating acidity. It took on a floral complexity until the finish where good bitters-like flavors came out followed by a woodsy note in the aftertaste. Perhaps some minerals. *** Now -2014. This wine is 100% Grenache sourced from 101 year old vines. Alcohol 13.5%. In the mouth there was redder fruit with a slightly, powdery ripeness. The acidity and dryness builds into a fine, pebbly textured finish. The wine remained tighter in flavor and firmer in the finish. ** 2014-2019. After reading about Graham Tatomer and his wines in Tatomer Wines: Current Releases on Vinography I became excited. Not that I could imagine what an Austrian influenced Californian Riesling would smell or taste like but because the wines sounded different. I let the wines settle for several weeks before I brought them over to Lou’s house as part of a casual tasting. I must admit, I wanted these wines to taste great. I tried them over two nights and on the second night we let my five-year old daughter smell the wine. Of the Kick-on Ranch her unprompted comment was, “smells like its flowers.” To us it did as well. Graham Tatomer farms the vineyards and produces the wine himself. The Vandenberg is produced from a botrytis influenced selection within Kick-on Ranch. The Kick-on Ranch see some whole-cluster maceration. While the Vandenberg gave off a youthful impression I suspect the Kick-on Ranch will benefit most from short-term aging. I wish these wines were available in Washington, DC. Fortunately they are distributed in New York City by A.I. Selections. These wines were purchased direct from Tatomer Wines. This wine is 100% Riesling. There were 225 cases produced. Alcohol 13.5%. The color was a very light gold-yellow. The nose revealed rosemary and other fresh herbs with a little, low-lying richness. On the second day it smelled like a flower shop. In the mouth there was a fresh start before the wine built weight, took on dried floral flavors, and revealed minerals in the finish. It showed more focus with a lovely feel and flavors of floral perfume. There were ripe spices in the aftertaste. ***(*) Now-2018. This wine is 100% Riesling. There were 400 cases produced. Alcohol 14%. The nose was very light and subtle with low-lying aromas. In the mouth there was bright, white fruit in the start. There was more weight in the mouth with richer flavors but they were balanced by acidity. 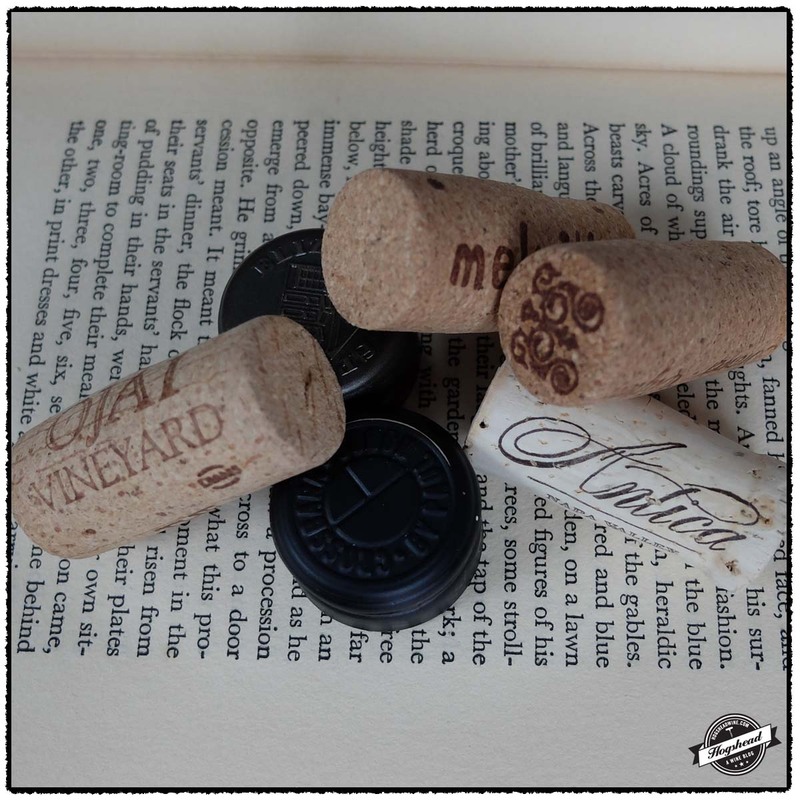 There were strong flavors of gray minerals [that is the mental image which popped up] which were textured and finished dry. The long, persistent aftertaste left flavors on the back of the throat. This tasted younger. *** Now-2018. Andy showed me the new Californian Chardonnay which he recently put on the shelves. 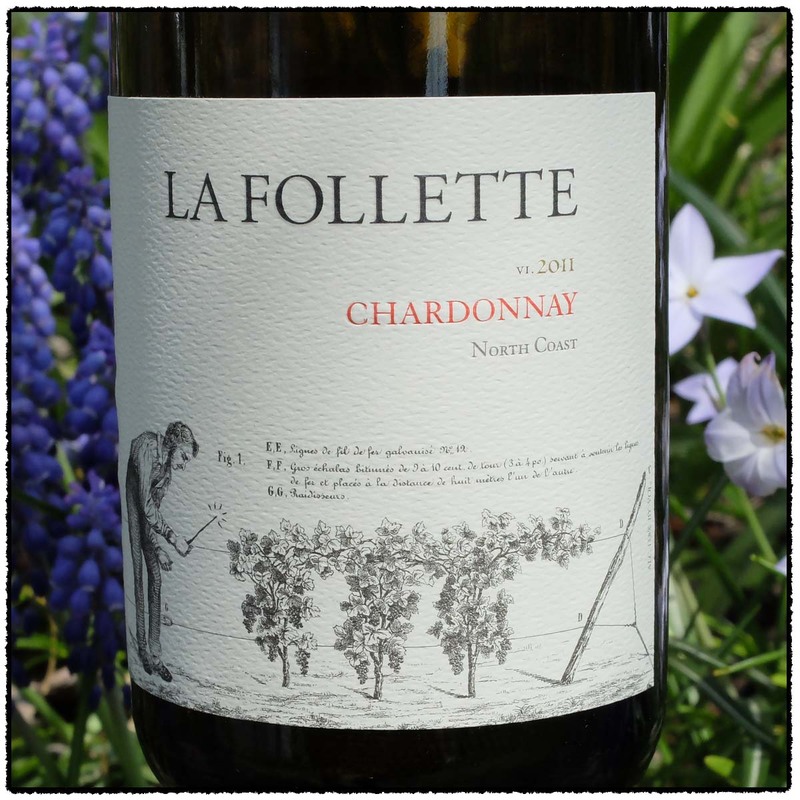 While I have tasted a 2008 La Follette, Pinot Noir and a 2007 Tandem, Chardonnay (Tandem was renamed La Follette when Peter Kight became a partner) I had never had a La Follette Chardonnay. I opted for the least expensive bottle and was certainly impressed. It is the real thing and well priced. 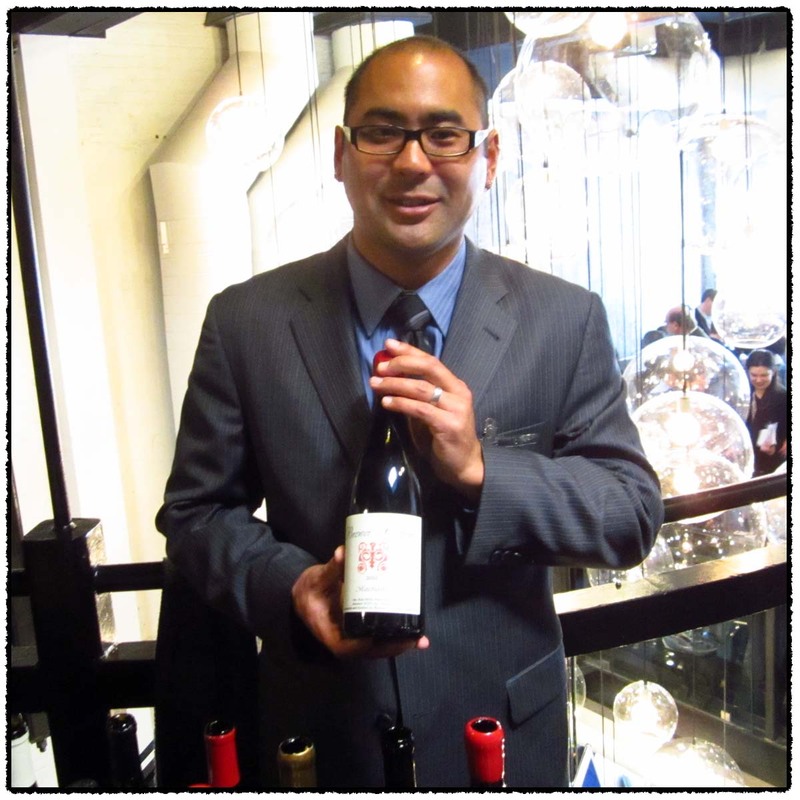 Sandhi Wines is Raja Parr’s young project with Charles Banks and winemaker Sashi Moorman. 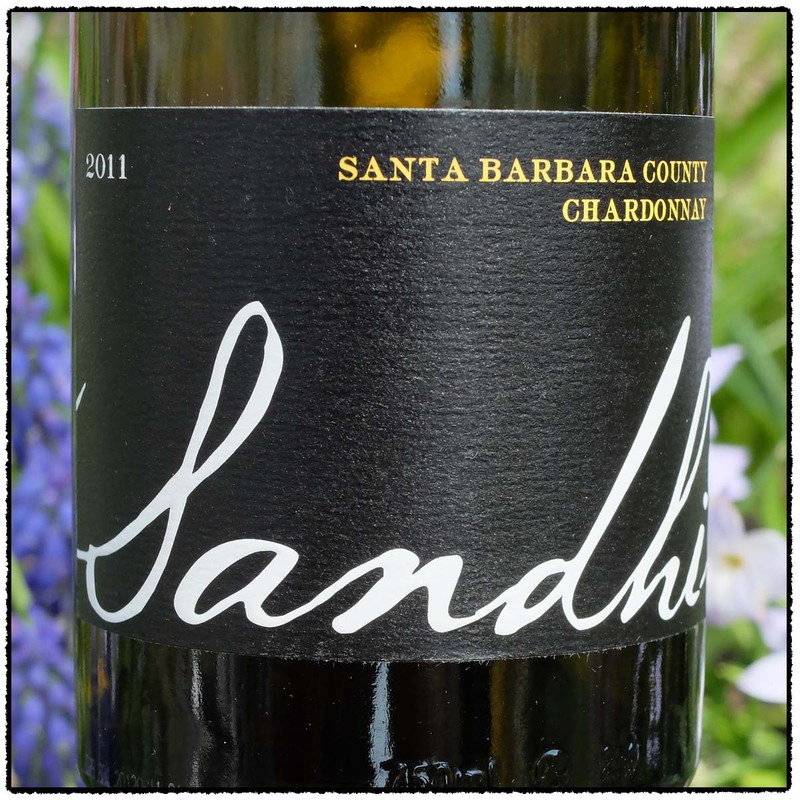 According to the website “Sandhi is dedicated to making wines of finesse, minerality, acidity, structure and balance.” This bottle from Sandhi was certainly balanced, offering bright citrus flavors with plenty of acidity. I actually liked the wine and think it is best drunk with food. These wines were purchased at MacArthur Beverages. This wine is 100% Chardonnay with that from Bennett Valley fermented in stainless steel tank and that of Russian River Valley barrel fermented. It was aged in oak. Alcohol 13.8%. The color was light yellow. The nose was interesting with weighty and floral yellow aromas. In the mouth this medium bodied wine had ripe, floral, yellow fruit which was vibrant on the tongue and somewhat acidity driven. There was a touch of glycerine to the feel and a barrel note in the expanding finish. This held up well to both air and warmth. *** Now-2014. This wine is 100% Chardonnay sourced from Wente clones averaging 25+ years of age. Alcohol 13.8%. The color was a light yellow straw. The nose bore weighty lemon and barrel toast aromas. In the mouth the weighty lemon fruit returned and was very fresh. There was tart acidity and a little barrel note. Everything was there. *** Now. 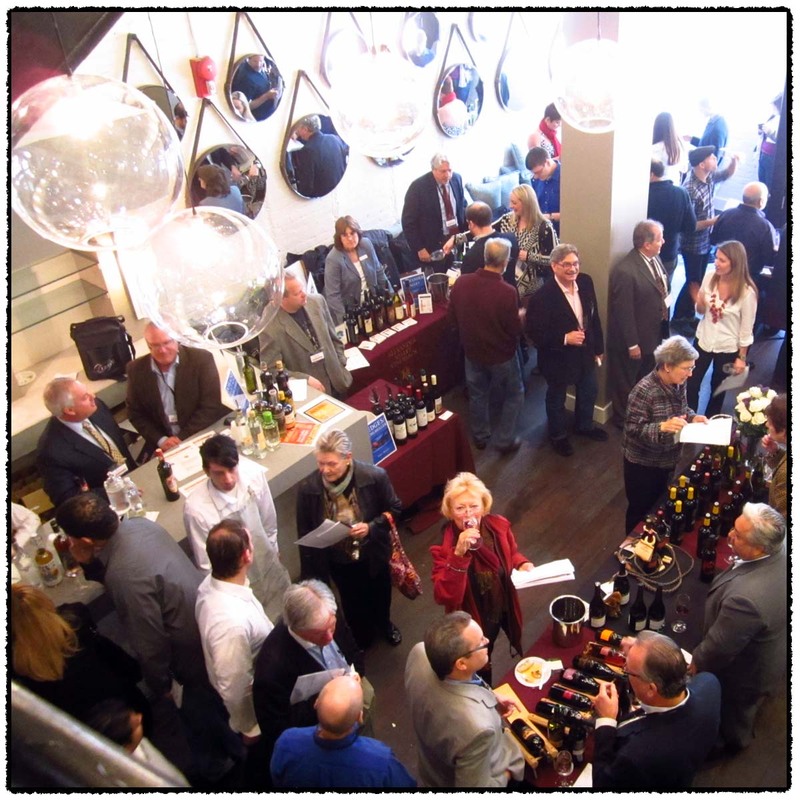 For the second post from the Bacchus Importers Portfolio tasting I have focused on individual wineries. It is always a bit tricky to take any substantive notes during a portfolio tasting. So please treat these as a general overview of what was going on. Below you will find my notes arranged in the order I visited the winery tables. Within that the wines are presented in the order tasted. Brewer-Clifton is the project of Greg Brewer and Steve Clifton who also produces Palmina. The fruit for Palmina is sourced some several vineyards including Homea and Walker Vineyards. The Homea Vineyard was planted with Italian varietal specifically for Steve. Across the street is the Walker Vineyard which is owned by the Walker family but farmed by Steve. This year’s Brew-Clifton lineup includes the Machado Pinot Noir. This is the newest vineyard to be sourced from. It is located on the arm coming off of the Kessler-Hawk Vineyard. Steve and Greg took a land-lease of this 15 acres of bare earth to plant Pinot Noir and a little Chardonnay. The vineyard is only a couple of years old so the 2010 bottling is the first pure Machado vintage. The Palmina wines are of strong value and I particularly liked the Dolcetto. If I had to pick one Brewer-Clifton wine the Pinot Noir, Santa Rita Hills was lovely. This wine is 100% Arneis sourced from the Honea Vineyard. The nose was fresh with citrus, white fruit, and floral aromas. The flavors were a little richer in the mouth with yellow fruit along with some orange and lemon flavors which took on weight. There was acidity and a little drying nature at the end. 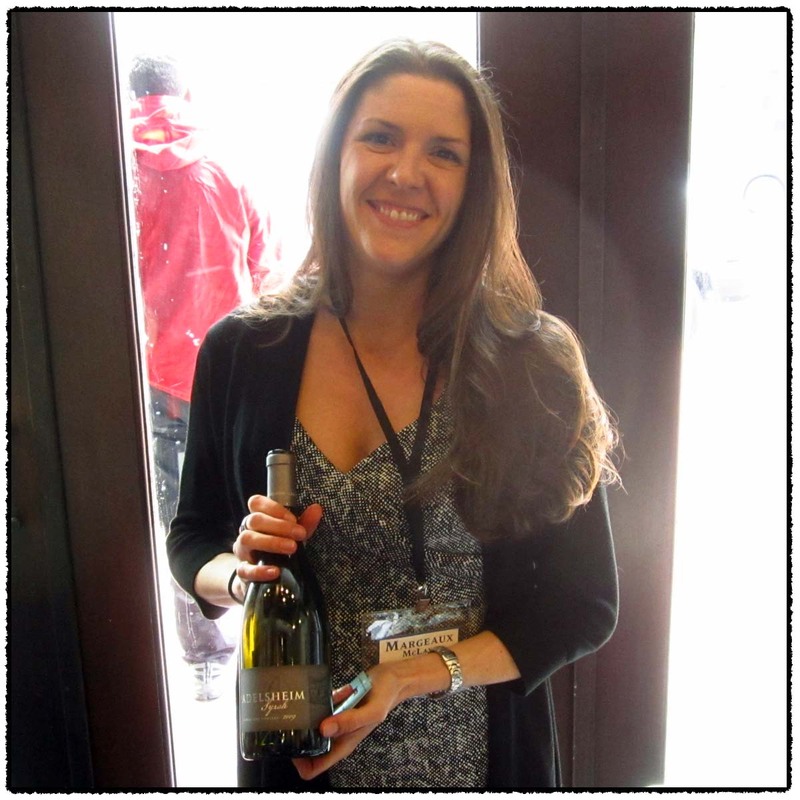 This wine is 100% Chardonnay sourced from multiple vineyards in Mount Carmel, 3-D, Gnesa, Sea Smoke, and Zotovich. The nose was heady, yeasty, and a touch earthy. In the mouth there were fresh apple and white fruit flavors followed by tart apple with green acidity. The nose was pretty god with purple aromas and a little grapey, inky note. In the mouth there was good, fresh fruit, grapey flavors of black and purple fruit, along tannins and acidity all in balance. There were grapey tannins in the aftertaste. The light nose bore dark red strawberry aromas. In the mouth there were cranberry, pomegranate, strawberry type fruit with more acidity towards the finish and a puckering quality. The finish brought acidity and black fruit. This wine is 100% Pinot Noir sourced from three vineyards in Mount Carmel, 3-D, and Machado. There was a beautiful nose of red fruit, orange, and ink. The youthful mouth follows the nose with an orange hint and serious profile. Nice. This wine is 100% Pinot Noir sourced from the Machado vineyard which was planted in 2007. The nose of youthful Pinot Fruit doesn’t have the depth of the Santa Rita Hills. In the mouth there was bright red fruit, citrus, and a yeast note. The flavors show some weight and depth as spices come out in the finish. There was a grapey, young, spicy tannin touch. Burly stems from Hank McCrorie’s college football nickname. The fruit is sourced from the Simpkins Vineyard. The 2008 vintage saw a devastating frost which destroyed two-thirds of the Cabernet Sauvignon crop. This did not diminish the remaining one-third from making a tasty wine. The nose was subtly grassy with white fruit. In the mouth the white fruit had weight but was also lively on the tongue. 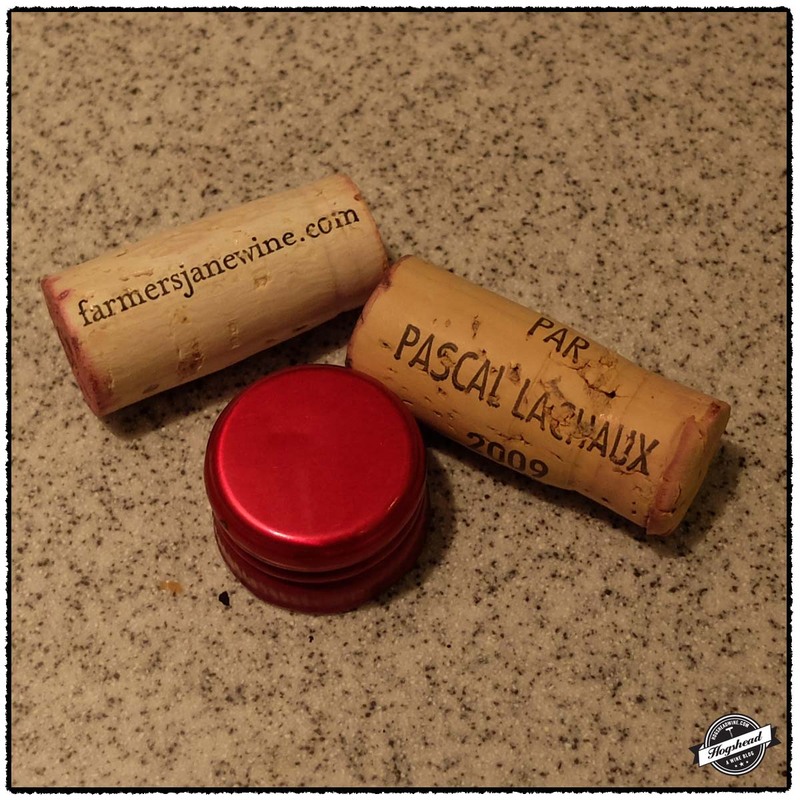 There was some creaminess, flavors of pastilles, and tannins. This wine is 100% Cabernet Sauvignon. The dark nose revealed earthy black fruit and some greenhouse notes. In the mouth there was coiled up power to the red and black fruit. The tannins and acidity were integrated. There were chocolate notes and a good midpalate of roast and spicy notes. This will develop but can be drunk now. 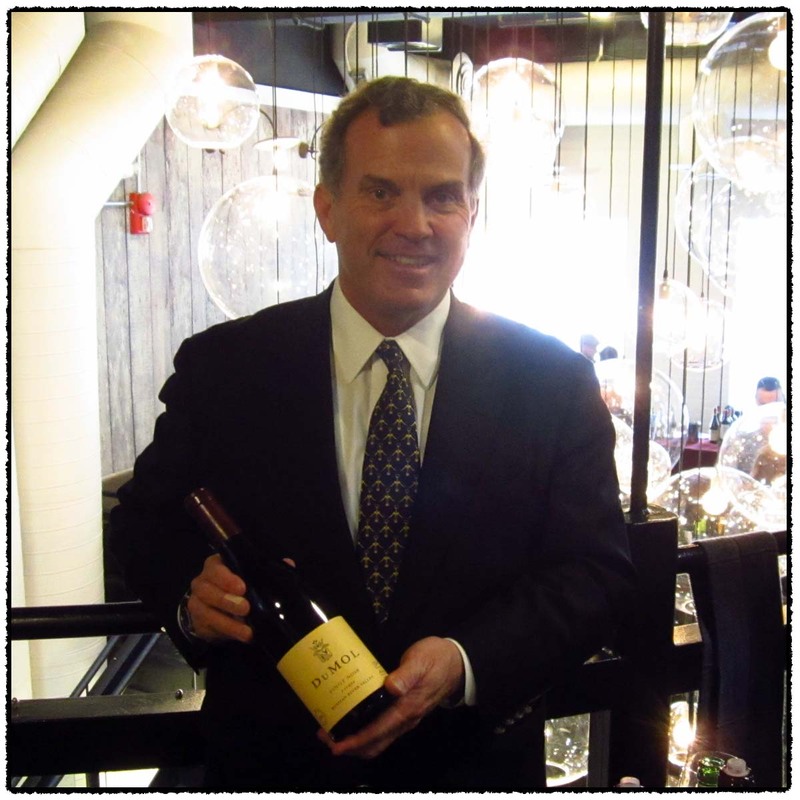 Tony Soter is the founded of Etude Wines. Soter Vineyards is a family winery located in Oregon. We tasted three tiers of wine. Planet Oregon is focused on good value, young Oregon Pinot Noir, sourced from and produced at certified sustainable properties. The North Valley wines focused on producing fruit from vineyards located in northern Willamette Valley such as Yamhill-Carlton, Dundee Hills, Eola-Amity Hills, and Ribbon Ridge. Finally the Estate Wines use fruit sourced solely from the 30 acre Mineral Springs Ranch. 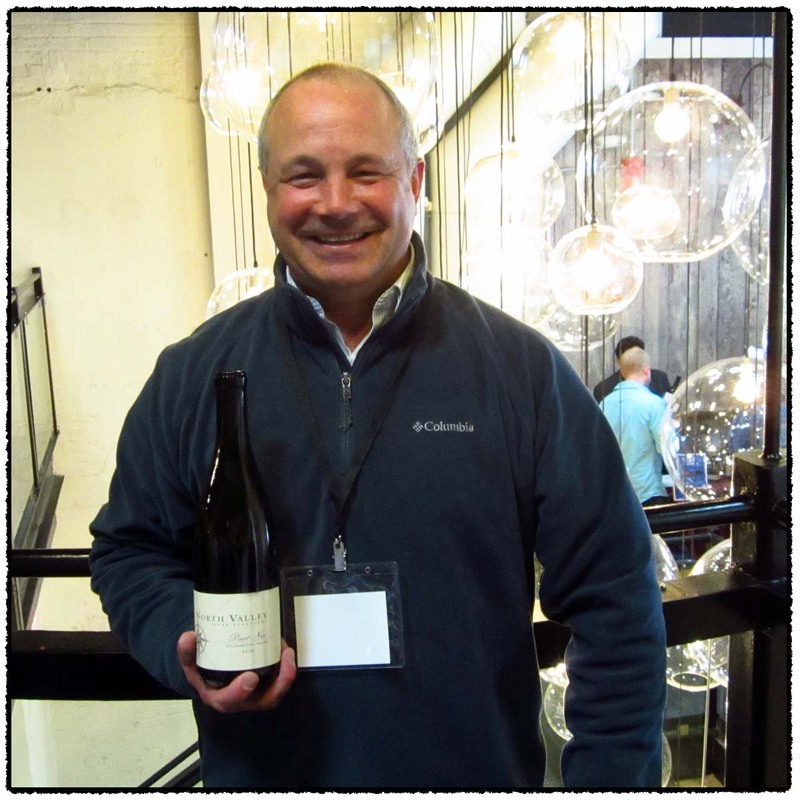 James Cahilll is the winemaker who previously worked at Beaux Feres and Elk Cove Vineyards. The North Valley rose was a beautiful, captivating wine and the North Valley, Pinot Noir was very good with earth and black fruit. The Soter, Mineral Springs Pinot Noir was a confident treat and I liked how the Proprietary Red Wine was a balance between Oregon and California (and it includes some Malbec!). This wine is 100% Chardonnay which was barrel fermented in 10% new French oak, 30% used French oak, and 60% stainless steel barrels. One quarter of the wine underwent malolactic fermentation. Alcohol 12.8%. The tight nose bore sweet white floral fruit and some yellow fruit. In the mouth there was tart weight to the fruit which was crisp, with lots of feel on the tongue. This is a blend of Pinot Gris and Pinot Noir which was just bottled. The nice aromatic nose revealed strawberry and raspberry aromas. In the mouth there were acidity driven flavors of raspberry and pastilles with a drier finish. This was very crisp with nice acidity. Nice. This wine is 100% Pinot Noir. The nose was muted. In the mouth there were acidity driven flavors with a little citrus note to the light, red fruit. There were youthful tannins and some spice. This wine is 100% Pinot Noir which was fermented with 15% whole clusters and aged in 10% new French oak. Alcohol 13.6%. The nose had more depth. In the mouth there were earth and red fruit flavors, nice. It was weightless with a little black fruit and ink in the finish, along with very fine ripe tannins. This wine is 100% Pinot Noir sourced from the Mineral Springs Ranch. The fruit is destemmed then undergoes malolactic fermentation and is aged for 12-15 months in 33% new French oak. The nose was younger but more confident. There were red fruits in the mouth which became blacker with focused ripeness. The tannins and acidity were subservient such that the aftertaste left an earthy note. This should age well. This wine is a blend of 2007 and 2006 vintages featuring 40% Cabernet Franc, 40% Cabernet Sauvignon, and 20% Malbec. 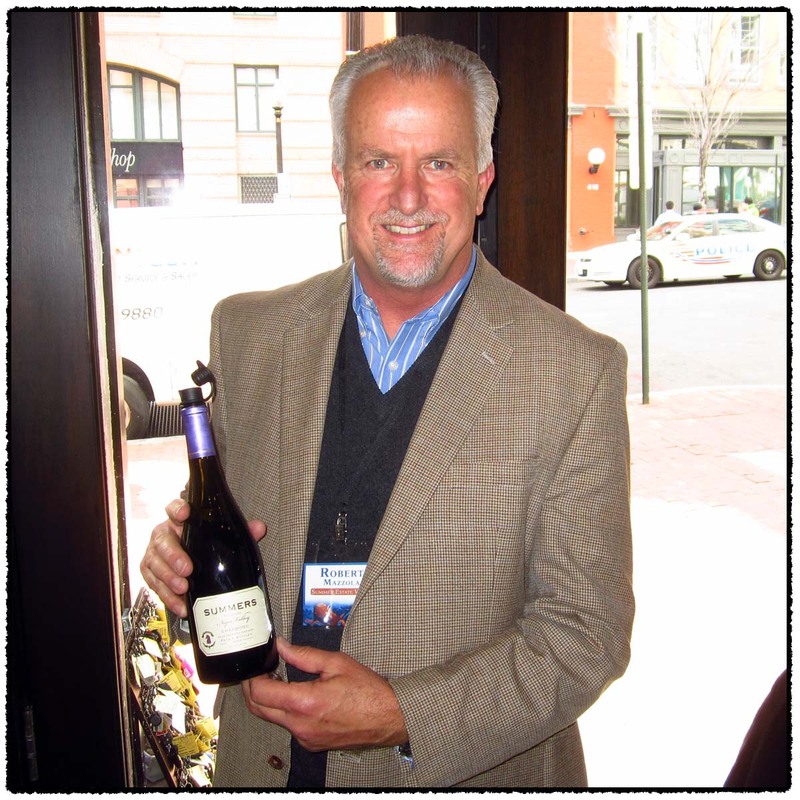 It is Tony Soter’s last Californian wine and was produced in Oregon. There were black fruit flavors, minerals, acidity, and a focused aspect. The tannins were balanced as dark flavors pervade the aftertaste; drying on the lips. Adelsheim Vineyards was founded by Daivd and Ginny Adelsheim in 1971. The estate has grown from the original 15 acre vineyard at Quarter Mile Lane to 11 vineyards encompassing 190 acres. The Elizabeth’s Reserve is a barrel selection meant to produce a wine capable of aging. The Bryan Creek is the only single-vineyard wine aimed for the East Coast. I thought it too would age and it would be fun to taste these two several years down the road. 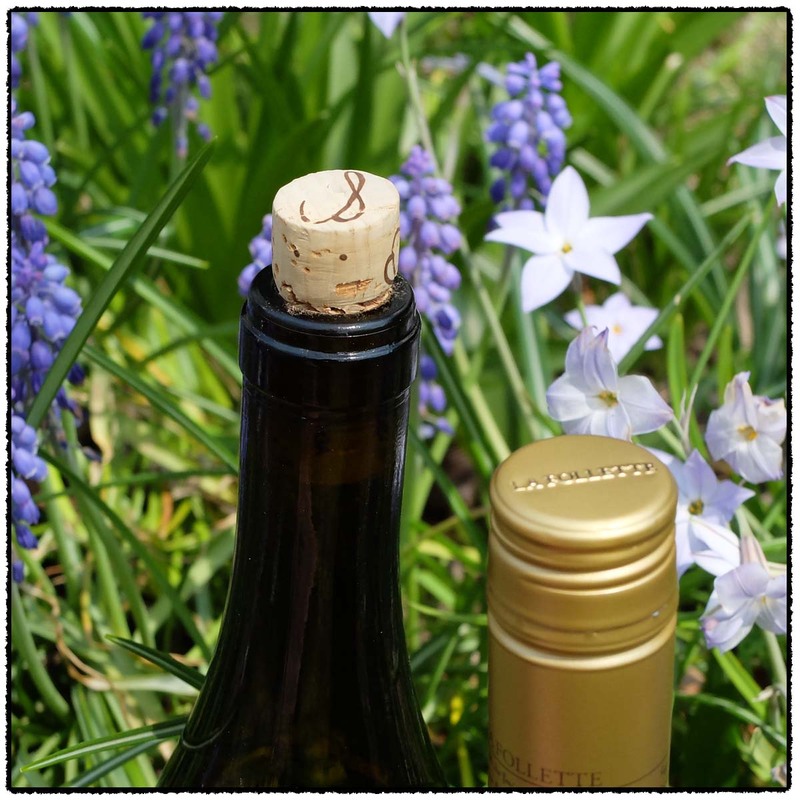 This wine is 100% Pinot Gris which was gently pressed then fermented with cultured yeasts or which 15% of the wine was fermented in older neutral French oak barrels. It did not undergo malolactic fermentation. Alcohol 13.2%. The nose had fresh white fruit with a little honied note. The flavors were white and tart in the mouth before taking on some ripeness. The finish was drier and tart. This wine is 100% Chardonnay which was whole cluster pressed then 82% fermented in stainless steel tanks with 18% in neural barrels. It did not undergo malolactic fermentation. Alcohol 13.2%. This was crisp and focused on the nose followed by a similar mouth with powdery notes. There was apple like acidity. This wine is 100% Pinot Noir which was destemmed, fermented with inoculated yeast then aged 10 months in 20% new French oak barrels. Alcohol 13.0%. There was a light, tight Pinot Noir nose. In the mouth tart red fruit was on the tongue tip before turning redder with acidity and some chewy texture. There were mouth coating tannins then a finish with blacker fruit and citrus. This wine is 100% Pinot Noir which was destemmed, fermented with inoculated yeast then aged for 10 months in 34% new French oak barrels. Alcohol 13.4%. There was a good nose with some depth. The mouth was tight with red fruit, some of it tart, a little grip, and an overall ability to age. This wine is 100% Pinot Noir sourced from the Bryan Creek Vineyard which were destemmed then underwent malolactic fermentation in 30% new French oak barrels. There was a pure Pinot Noir nose. There were red and black fruits, minerals, a racy aspect then black fruit and citric notes. The acidity was cool. This was rugged in a sense, leaving minerals and the notion it will age. This wine is 100% Surah sourced from several rows of Syrah next to the tasting room. Alcohol 13.6%. There was some black fruit then red tart fruit. 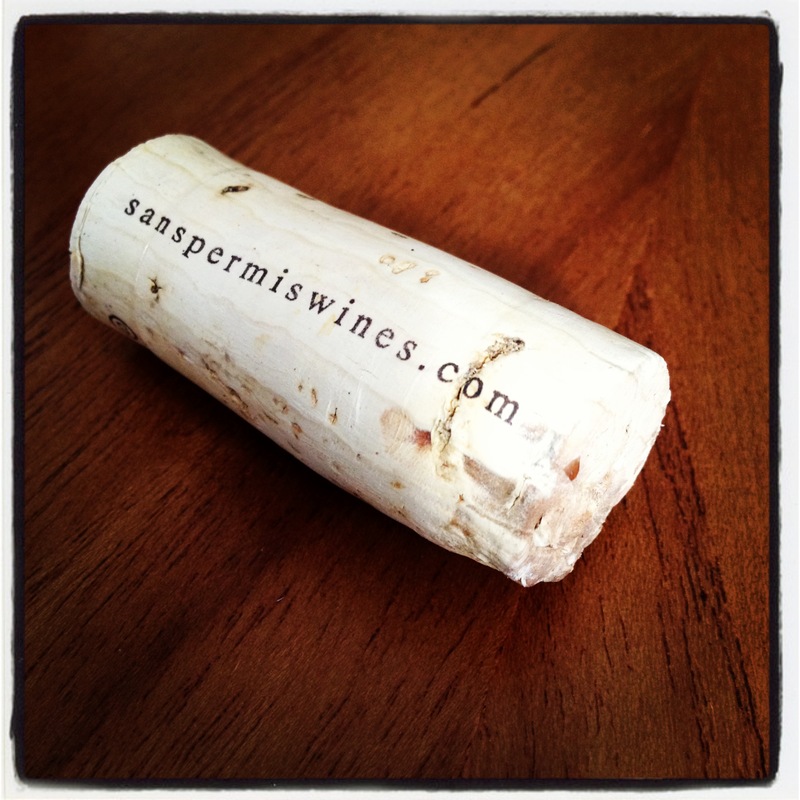 It was a little racy with structure, citric tannins, and a spicy firm finish. Summers Estate Winery originated in 1987 when Jim Summers purchased 28 acres in Knights Valley. This holding was expanded by 25 acres through an additional purchased in 1996. Summers Estate produces the largest amount of Charbono in California. Bob suggested if we could only taste one wine then to try the Charbono. I’m glad we did. I also liked the Zinfandel, it showed balance. This wine is 100% Charbono which was aged for 18 months in 50% new oak of which 50% was American and 50% French. Alcohol 13.7%. There was a tight, inky, black nose. The flavors were focused in the mouth with old-school flavors. Though dense it was approachable with very fine tannins. Neat. This wine is 100% Cabernet Sauvignon which was aged for 19 moths in 60% new French oak. Alcohol 14.1%. There was a black, licorice nose, smells like Knights Valley. The flavors were focused in the mouth, similar to the nose but a bit haunting. This was young with focus and watering acidity. This wine is 100% Zinfandel which was aged for 16 months in 70% American and 30% French oak. The nose was more expressive with good fruit. The fruit was balanced in the mouth with mixed berry flavors, sweet spice, and a young, good finish. There was some depth along with clean, strong, spicy tannins. The four Graces originated in 2003 when Steve and Paula Black purchased a 110 acre vineyard in Dundee. The winery is named after their four daughters. I particularly liked the Pinot Gris both on the nose and in the mouth. This wine is 100% Pinot Gris which was whole clustered pressed then fermented in stainless steel tanks. Alcohol 13.1%. There was a pretty nose of floral, ripe fruit. The crisp start bore flavors of floral, sweet white fruit. It was a little chewy with sweet spices in the finish. This wine is 100% Point Blanc. Alcohol 13.3%. The nose was tight with nutty aromas and a light texture. In the mouth the fruit was again up front with texture from the acidity then it flattened out. This wine is 100% Pinot Noir which was aged for nine months in 25% new French oak barrels. Alcohol 13.8%. There were aromas of toast, popcorn and roast. In the mouth the firm black fruit flavors mixed with toast as dry, powerful tannins came up. The finish was lighter in flavor with a very dry aftertaste. 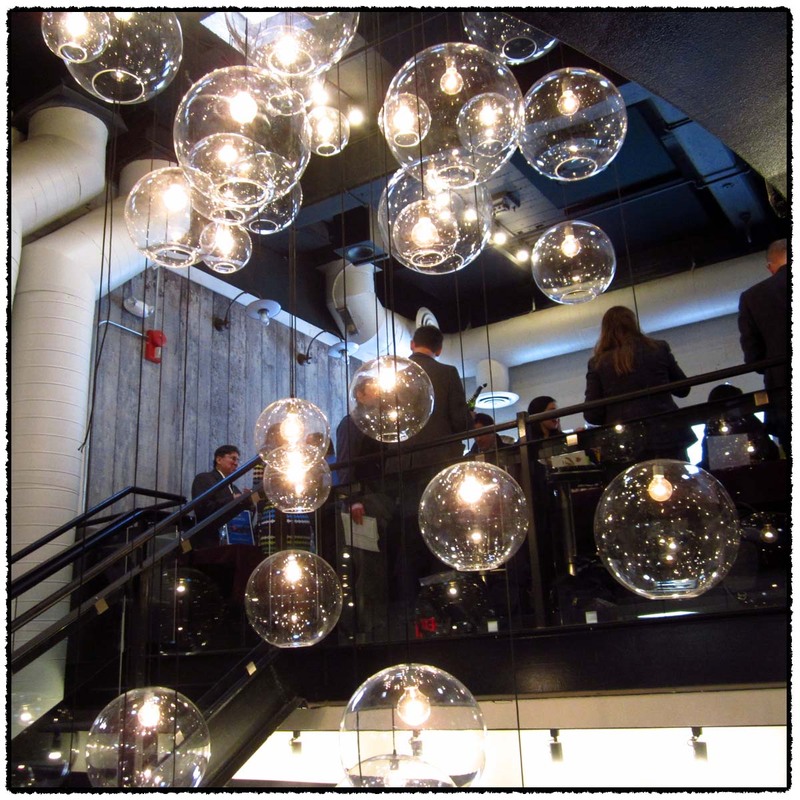 I looked forward to tasting the wines of DuMOL again this year and I was not disappointed. There is a step up in quality with the various bottlings with the Clare Chardonnay and Estate Pinot Noir showing the most complexity. I should like to see how these develop over the short term. This wine is 100% Chardonnay sourced from Dutton Ranch, estate, Heintz, Ritchie, and Hyde vineyards. The fruit was whole-cluster pressed, barrel fermented with indigenous yeasts, underwent malolactic fermentation then aged for 15 months in 40% new French oak. There was a citrus driven nose with some toast and lees. The flavors were rich in the mouth, expansive with yellow fruit in the finish, complexity, and some ripe notes. This wine is 100% Chardonnay sourced from the Hyde Vineyard. The fruit was whole-cluster pressed, barrel fermented with indigenous yeasts, underwent malolactic fermentation then aged for 15 months on the lees in 50% new French oak. The nose was more complex with less lees. The mouth was lovely with rich but assured fruit that was younger in a sense. The tart yellow fruit balanced acidity and tartness. This wine is 100% Pinot Noir sourced from the seven vineyards. The fruit was barrel fermented with indigenous yeasts, underwent malolactic fermentation then aged for 11 months in 40% new French oak. There was a good Pinot Noir nose which was expressive with black cherry aromas. The fruit was riper in the mouth with minerals, structure, and tart red fruit with weight. There were red citrus flavors left on the back of the tongue. This wine is 100% Pinot Noir sourced from the estate vineyard. The fruit was fermented with indigenous yeasts, underwent malolactic fermentation, then aged for 14 months in 55% new French oak. The nose was tight with ripe, sweet spiced aromas. There was more specific fruit flavors in the mouth with good expansive but light in nature. The spices mixed with young fruit, making way to a long aftertaste. This wine is 100% Syrah sourced from six vineyards. The fruit was fermented with indigenous yeasts, underwent malolactic fermentation, then aged for 15 months in 35% new French oak and 2 months in tank. The nose was tighter with sweet, blue fruit. The flavors were lively in the mouth with black minerals, fine, strong tannins. I have been fortunate this winter to not only receive the bottle of 2004 Chateau St Jean Chardonnay from Julia but this bottle of 2005 Sans Permis from Lou. 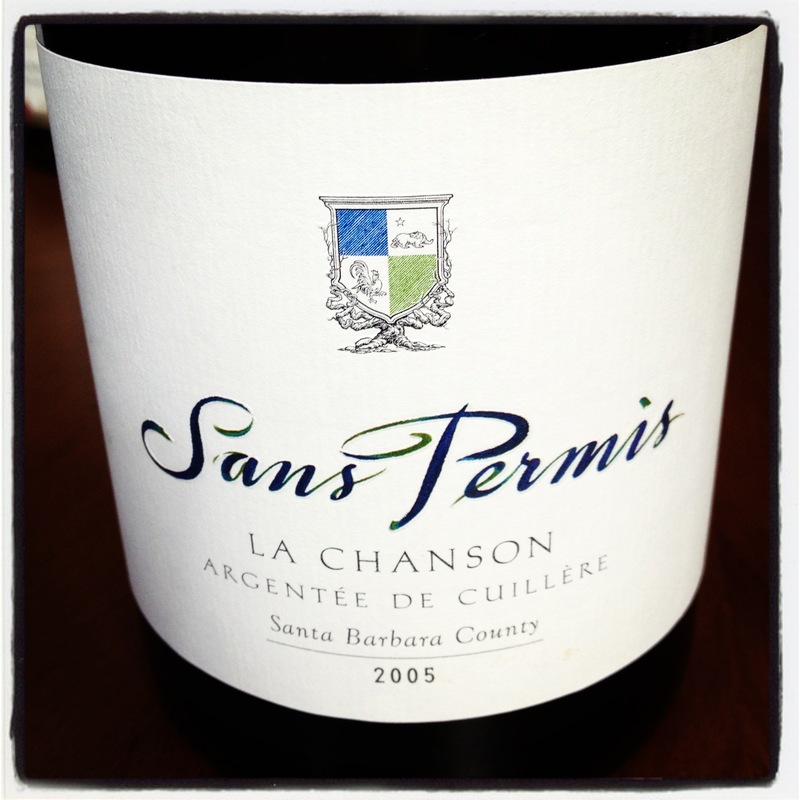 From what I gather the Sans Permis winery was the work of George Van Duzer who brought on Thomas Rivers Brown as the consulting winemaker. The two met when they worked at Turley. The goal was to produce wine from the greatest Chardonnay and Pinot Noir vineyards without any obvious influence from the winemaker. They released their first wines in 2004 then closed just several years later in 2008. A number of these wines have been offered at close-out prices and I was fortunate to taste a bottle thanks to Lou. This bottle was fully mature and best on its first night when it showed all around balance. In a way it reminds me of the 2002 Bouchard, Meursault Genevrieres I got to taste last week. It has been an interesting week of Chardonnay experience. This wine is 100% Chardonnay sourced from Bien Nacido Vineyard and Solomon Hills Vineyard. Alcohol 14.5%. The color is a light amber gold. The light nose reveals ripe apple with a hint of nuts. In the mouth this medium bodied wine is younger in profile. It has a round mouth, almost creamy, with baking spiced yellow fruit, a little nutty, acidity, and some weight. By the third night the nose became overwhelmingly nutty so I suspect this is fully mature. *** Now.